Beirut witnesses a variable Mediterranean climate with plenty of sunshine throughout the year. The summers are hot and humid. The months between April and November witness very little to no rainfall and is considered as an ideal time to visit Lebanon. The peak tourist season is the months of July and August when the temperatures are relatively milder and cooler. The winter season is between the months of January and March and Beirut sees the least number of tourists. 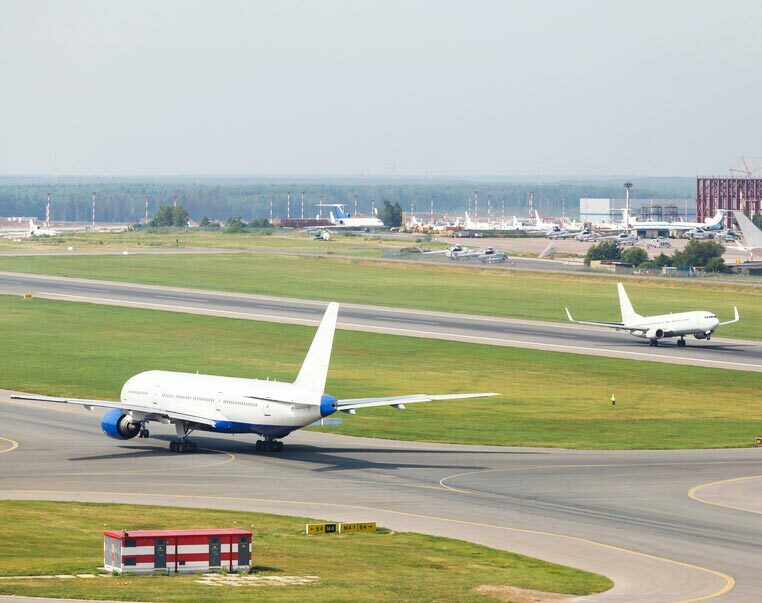 The airfares are also likely to be comparatively inexpensive during this time. Beirut is composed of a large Catholic population and thus, Christmas is celebrated with much pomp and flair during this time of the year. Airline prices are also likely to go up around this season. The Spring and Autumn seasons are an ideal time to visit Beirut if you are looking to avoid crowds. 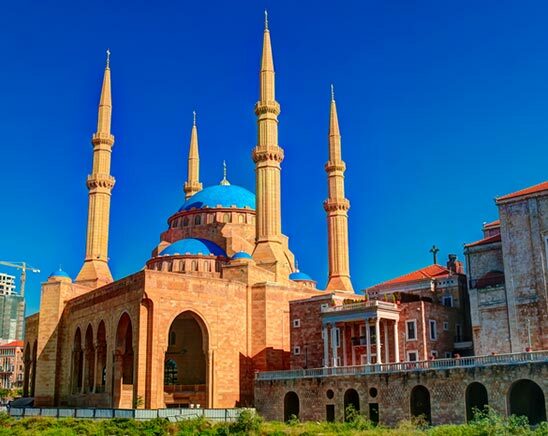 Beirut is the capital of Lebanon and is often referred to as the ‘Paris of the Middle East’ . This city is flanked by the Mediterranean Sea on one side and the Lebanon mountains on the other. Being a major port city, Beirut enjoys plenty of commerce via sea routes. Various languages are spoken in Beirut which makes it religiously and culturally very diverse. Ever since the end of the civil war in 1991, the city has been subject to plenty of restorative public infrastructure. Additionally, Beirut’s art scene, which includes music and theatre has seen an exponential rise in the past few years. Beirut has a scenery and energy that is unlike any other middle-eastern city. 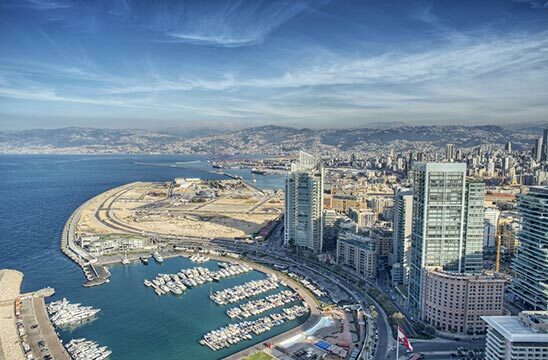 Tourism to Beirut has always been important to the local economy as well as a major source of revenue. Beirut is perhaps one of the most cosmopolitan cities in the middle east and is a beautiful amalgamation of aesthetically pleasing sites and a colourful city life. Popular Airlines flying from Canada to Beirut (BEY), Lebanon. 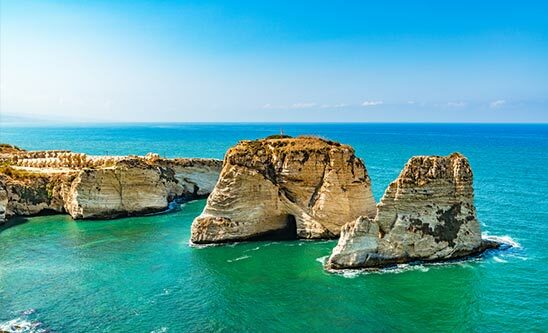 We have negotiated the best deals with all major airlines and suppliers to offer you cheap flights to Beirut (BEY), Lebanon . Please find below the list of popular airlines flying to Beirut (BEY) in Lebanon. United airline connects via US gateways (ORD/IAH/EWR/SFO/LAX) and then connecting via Brussels (BRU), Belgium and using Middle East Airlines to fly to Beirut. British airways uses its London hub to fly to Beirut in Lebanon. Air France uses its Paris hub to fly to Beirut in Lebanon. Air Canada uses Middle East Airlines as code share partner to fly to Beirut. Lufthansa uses its Frankfurt hub to fly to Beirut in Lebanon. Middle East Airlines uses Air Canada as code share partners to fly to Beirut via London. Delta uses Detroit and Paris hubs to fly to Beirut. Alitalia airline uses its Milan hub to fly to Beirut in Lebanon. Nanak Flights can provide you with the cheapest ticket prices to Beirut and all destinations worldwide. Use our search engine to book online today and compare top airlines at the lowest prices from the comfort of your home or office. If the cost of your air tickets drops after you purchase your tickets from us, we'll give you a 100 credit to spend on the next flight you book with us. Price drop guarantee and an assurance to get you lowest prices to Beirut (BEY) makes Nanak Flights your best travel agency. Our Secret to cheap tickets to Beirut is connecting with multiple suppliers and multiple GDS (Global distribution systems Sabre, Amadeus) to shop the lowest fares and offer the cheapest fare to our consumers. Beirut is one city that has a very complex and rich history. The Beirut Central District is the city’s administrative and commercial centre. It is perhaps the one location where you can find evident landmarks that are significant to the recent civil war in the country. Nearby, you will find the ruins of the Roman Baths, a place that has been the focal point of the most intense war in the country. To witness the beautiful Mediterranean Sea that lines the city, opt for a stroll along the Corniche. On this lane, you can find many restaurants and cafes that offer some delicious food options. The Roman temple at Baalbek or more often called the ‘City of the Sun’ is not only a stunning example of Roman architecture but is also a UNESCO World Heritage Site. For some shopping, you may visit the Beirut Souks and splurge on some high-end merchandise. For a more authentic Lebanese shopping experience, you may head to the Souk Al Ahad for some unique and quirky finds. To explore the rich history of this country, a visit to the National Museum or Robert Mouawad Museum is a must-do. You may enjoy Beirut’s thriving art scene at Achrafieh, where art house films are played on a frequent basis. Lebanese food is famous world over for its rich, Mediterranean taste. Appetito Trattoria is a restaurant that is popular for its Italian food and a setting that reminds one of the cafes in Italy. Bagatelle is one bistro that serves Mediterranean fusion food that is extremely popular in the city. The French ambience of this quaint eatery must not be missed. Frida is a restaurant that serves traditional Lebanese dishes with a twist of Mexican flavours. Motto is a restaurant that is not only famous for its food but also its style. There is no fixed menu at this place. Instead, the dish you will eat is dependent on the rotating band of chefs cooking on that day. For authentic Lebanese dining options, you can pay a visit to Al Falamanki, Enab and Abu Naim. These restaurants plate up some delicious traditional Lebanese dishes. Each of these spots has its unique ambience that further adds to the dining experience. With a complex history, the street food in Lebanon is a mix of the various cultures that influence it. You can indulge in some delicious Falafels at M.Sahyoun or Freiha for extremely reasonable rates. The Middle Eastern classic, Shawarma, can be found at Barbar or Mazzat, the two places that serve the most delicious wraps in the city. Tourists can travel around the city with the help of taxi cabs that may be availed easily all over. As you land in the Beirut International Airport, you can find a ride into the city by availing a cab from the many drivers that wait for riders outside the airport. The basic fare for a ride into the city would cost you around 30,000 LBP. You can also find other reliable taxi company counters where you may book a cab for a fixed rate. Upon reaching the city, you will find that the easiest travel can be done with a taxi cab. You may hail down a cab by waving your hand and the ride fare shall be negotiated between the driver and the passenger. You can also find privately owned minibusses that transport passengers around town. Beirut provides a diverse range of options for accommodation. Downtown Beirut and the Beirut Central District are ideal locations for tourists and especially first-time visitors. You may stroll around the pedestrian-friendly streets and also opt to visit some great cafes in the area. Downtown Beirut has recently been restored and there are plenty of stunning hotel options for your stay. Archefien is a good option if you’re looking for some more luxurious hotel options. This rich area is characterized by its narrow lanes and tall buildings. Monot is a great location if you’re looking for a more modern place to stay. This area is famous for its trendy bars and vibrant nightlife. Gemmayze is very close to Monot and has an architecture that is reminiscent of France. You may find boutique guesthouses and artisan hotels for accommodation in these areas. Ras Beirut is a part of the city that is perhaps the most cosmopolitan. The residents inhabiting this area belong to varied faiths. You can find plenty of hotel options that overlook the mesmerizing Mediterranean Sea. Beirut is flanked by two spectacular natural wonders, the Mediterranean Sea and the Lebanon Mountains. The climate in Beirut is typical of the hot and humid Mediterranean weather. The days and nights are mild. The Summers are hot and dry with very less to virtually no rainfall. August is the one month where temperatures rise quite high. January and February are the coldest months with average temperatures dipping down to 11 degrees Celsius. Autumn and Spring are the best months for booking your travel to Beirut given the warm and sunny days. Rains are rare during the summers but can be expected during winters and autumn. Although summers are hot and muggy, the sea breeze that flows in from the ocean provides much relief to the people. Beirut receives up to 300 days of sunshine a year, thus making your travels easy and convenient.